"I am worthy because I AM." You are worthy because you ARE. They are worthy because they ARE. 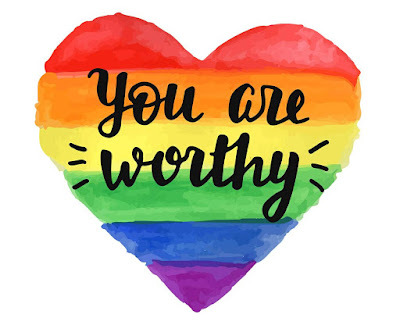 We are all worthy because we ARE. Simply by being, we are worthy. In all of us is this God-given, God-blessed worthiness. There is no need for any justification. There is no need to earn it. The only thing we have ever needed to do is to accept our worthiness. Celebrate, Celebrate, Dance To The Music. . . Spread Some Joy Today--by accepting your God-given gift of worthiness. Now that is pure joy!